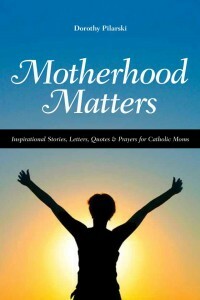 Motherhood Matters is broken into many small sections which makes it easy for busy people to read, yet it is never disjointed; one paragraph flows seamlessly into another. Dorothy substantiates her claims about women and motherhood, about divorce, illegitimacy, diseases, and all the trials of modern life, with statistics of several recent studies, not only with pious beliefs. Yet the statistics uphold the piety, showing that when we depart from God and his law we pay, our children pay, and all society pays. (pp.31-32) We see that many women are often forced to set aside their childbearing years in order to make money. Even after the children are born, women must often forgo being with their children and creating a home in order to be part of the work force. It is obvious that our culture no longer values motherhood or sees it as a goal. Instead, it is a sideline, to be pursued only when convenient. Is this fair to women? No, and it is definitely not fair to children. Women are repeatedly told that they must be breadwinners like men in order to be of value. Other than the ability to make money, women are reduced to their sexuality and have come to see themselves as worthwhile only as far as physical pleasure goes. The choice that lies before each of us is between a life of authentic love and one of fleeting material gratifications. No one can make the choice for us. Reading a book like Dorothy’s makes it easier to choose a life of love, a life which foreshadows the eternity of endless happiness and fulfillment.